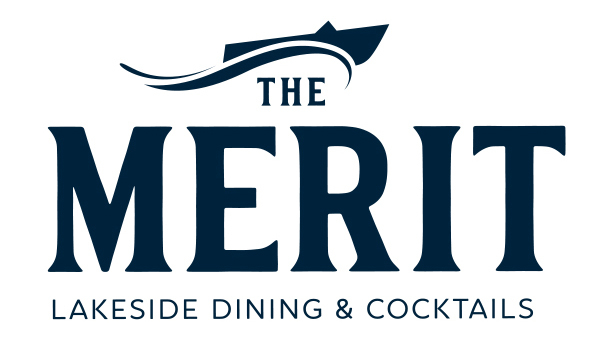 Marina Coordinator – This role focuses on the important guest experience on the water. Time is focused on helping guests plan and execute their activities and make great memories. Exceptional interpersonal and communication skills are very important. The best candidates are comfortable with computer interaction, attention to detail and follow through. Boating experience along with knowledge of watersports, kayaking, SUPing and fishing knowledge is required. Full-time or part-time jobs are available. Weekends are required from time to time in the off-season, but consistently in the Summer season. Front Desk Guest Coordinator – This role focuses on building relationships with guests and representing the resort professionally. You will be required to work with guests of the resort on a daily basis in person and on the phone. You will be making reservations, checking in reservations and checking out reservations and pro shop gear. Some parts of this position also require the use of excel, reservation software, and other Microsoft applications. Full-time or part-time jobs are available. Weekends are required from time to time in the off-season, but consistently in the Summer season. Maintenance & Grounds Technician – This includes working with the Association and Maintenance Leader to keep the grounds constantly improving with projects and in a neat, professional working order. Routine maintenance, construction projects, repairs and guest services are all included in this role. Full-time or part-time hours are available, with pay and benefits based on experience. Resort Housekeeping – This position includes preparing rooms for arrival, maintaining a consistent routine of detailed steps in cleaning, and communicating well with others. Going up and down stairs, lifting linens, and flexible hours are required. Daytime hours and weekend shifts are part of the role. This role can grow into other resort opportunities. Full-time or part-time hours are available, with pay and benefits based on experience. Resort Operations – This challenging position has responsibility for managing the operations of the full-service resort to ensure superior service, resort performance, and the development of people. This role manages and actually conducts the day-to-day operations and assignments of the resort, including daily routines that plan and organize work, communicate goals, and schedule/assign work. This person would manage and oversee Restaurant Operations, Front Desk and Reservation Operations and Activities Operations. Prior experience is required, with compensation based on performance. Front Desk – This role focuses on building relationships with guests and representing the resort professionally. You will be required to work with guests of the resort on a daily basis in person and on the phone. You will be making reservations, checking in reservations and checking out reservations. Some parts of this position also require the use of excel, reservation software, and other Microsoft applications. Guest Services and Activities – This role includes all aspects of conducting guest activities, doing special projects and welcoming items for guests, planning and executing some weekly and daily activities for guests, and various guest experience roles. Marina – This role leads the guests’ experience on the water. Working with a software-driven rental vendor, Your Boat Club, highlights a challenge to the marina role. Responsibilities for maintaining, cleaning and checking in/out all rentals such as canoes, kayaks, fishing boats, and pontoons. Working outside in adverse conditions, mowing, cleaning fish and keeping the marina neat and up to the resort standards is important. Maintenance – This includes working with the department lead to keep the grounds in a neat working order. Routine maintenance, construction projects, repairs and guest services are all included in this role. Other Opportunities – There will be several other roles at the resort that come available from time to time, such as service roles and even some retail business roles. Due to the cyclical nature of the hospitality industry, you will be required to work varying schedules that reflect the business needs of the resort. Full-time work and weekend shifts are expected due to the peak Summer season. Lodging is available. The term of employment requires working from mid-May until the last week of August 2018 but also includes at least three Fall season weekends. Competitive pay, based on experience and a bonus plan is applied. In addition, attendance at all scheduled training sessions and meetings is required. You will be scheduled on an as-needed basis and may be asked to work in work in other departments. 1812 Merit Road NW, Walker, MN 56484. We are located in Whipholt on the south shore of Leech Lake, approximately 13 miles east of Walker and 13 miles west of Longville. Restaurant Server – We are seeking experienced servers to take orders from restaurant guests. Serving food and drinks, preparing and cleaning tables, running up and down stairs, entering orders into POS computer software, and sometimes working late night hours are part of the role. Cross training in the bartender role, running orders and providing kitchen support is valued. Now hiring for part-time and full-time roles for the Summer of 2018, with pay and benefits based on experience. Bartender – This role includes a role of welcoming and directing guests when they arrive at the restaurant. Communicating with servers and working as part of a team is important. Typically, preparing alcohol or non-alcohol beverages for bar and restaurant patrons, interacting with patrons, taking orders and serving snacks and drinks will include late night and weekend hours. Experience is preferred. Now hiring for part-time and full-time roles for the Summer of 2018, with pay and benefits based on experience. Kitchen Help – Kitchen help applicants can assist in the new restaurant kitchen in many roles, from cooking and food preparation to support roles in dishwashing and running food. Flexible hours and prior experience are necessary. Now hiring for part-time and full-time roles for the Summer of 2018, with pay and benefits based on experience. Restaurant Manager – We are looking for a Restaurant Manager to lead all aspects of The Merit, including delivery of a quality menu and motivated staff focused on excellent customer service. The role includes coordinating and performing all daily restaurant management operations, but could assist in resort operations as well. Applicants must have experience in both front and back of the house. This role will include performing all roles as well, when appropriate. Experience with overseeing dining, bar, customer experiences and balancing seating capacity is necessary. Back of the house management experience is essential, as you’ll hire qualified cooks, servers, and bartenders, set work schedules, oversee food ordering/prep and maintain compliance with health and safety restaurant regulations. Compensation will be competitive, and also tied to experience, performance on the job and goals. Requirements: Proven work experience as a Restaurant Manager or similar role, extensive food and beverage (F&B) knowledge, with ability to remember and recall ingredients and dishes to inform customers and wait staff, and familiarity with restaurant management software.